Are you stressed out by your life? Does getting up in the morning include a “roll-call” of various aches and pains that just don’t go away? Do you need a strong cup of coffee in the afternoon just so as to make it to the evening? Or perhaps you are still young and strong enough that all of this is clearly the sort of thing that “old people” have to worry about. What you want is a martial art that will save you from a beating when the next gorilla at a night club asks you whether you’re looking at his girl friend. No frills, just one or two strikes and it’s over, you have no particular interest in training five hours a day so as to enter the next Cage Fighting competition, nor do you look as huge as Arnold Schwarzenegger’s younger brother. Alternatively, perhaps you are deeply committed to traveling along a spiritual path and have heard many brilliant intellectually-oriented speakers outline their model of the “path to unity with all of creation”, but they have all seemed a bit heavy on theory but low on actual techniques and on methods of how to get there. In each of the above instances, four thousand years of Chinese civilisation have resulted in “technologies” that will change your life forever, filling you up with personal power and vitality, allowing you to move forward smoothly, strongly and confidently within your life. The proof of the pudding, as they say, lies in the eating. Free trial classes will quickly validate these claims in such a way that you can feel the changes that are possible within yourself and then you will find yourself on the path to creating a “new you”, one that greets each morning as an enjoyable new adventure! 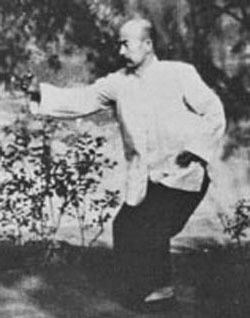 This site is an information resource, not just in terms of where and when to find the classes and contact details, but also what specific benefits the arts of Tai Chi, Qigong and Hsing Yi Kung Fu as well as modalities such as “Fight Fit” can provide for you, the underlying rationale and strategy of each of these arts as well as some background and history both of these martial arts and of myself. As a professional teacher (B.A. Hons. PG Secondary Educational qualification) I have been teaching these arts since 1986. I have been studying them, in one way or another, since 1970. They have enriched my life immeasurably. Come join me for some classes and see how they can do the same thing for you!